Rob Gronkowski suffered a torn ACL and MCL last week against the Browns in a very nasty looking play in which Cleveland safety T.J. Ward hit Gronk low while he was running full speed. However, there is good news to report for you "Entourage" fans out there. The Patriots tight end will still be making a cameo in the upcoming movie. 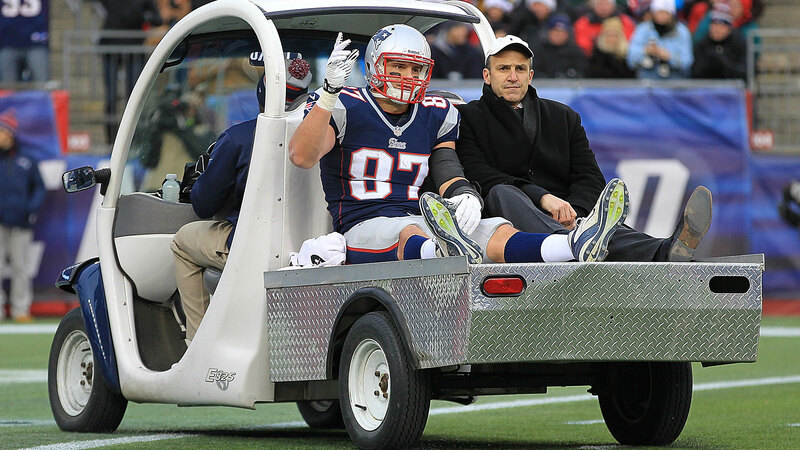 There’s no word yet on when Gronkowski will have surgery, but he’s not scheduled to film his scenes until February. We’re guessing Gronk was determined to make sure he was still in the movie because he doesn’t want to miss the opportunity to spend some time with Emmanuelle Chriqui.